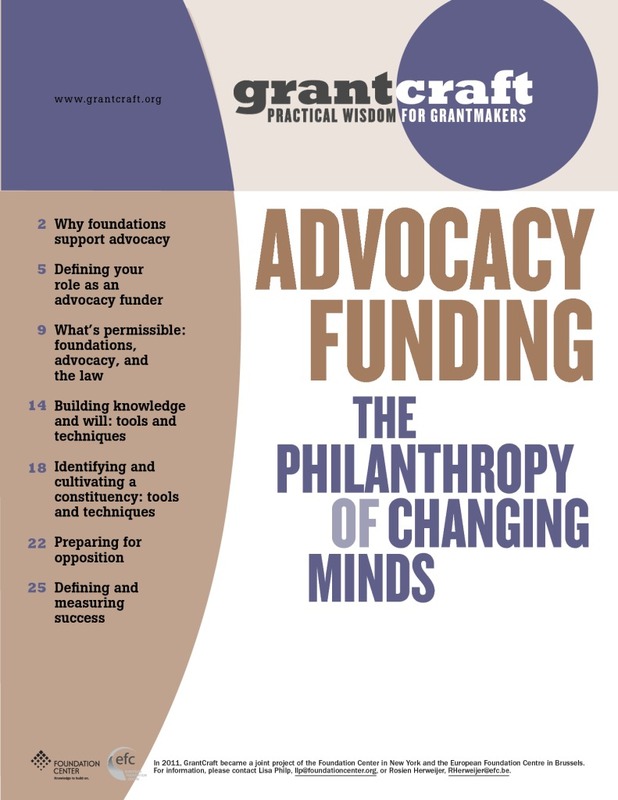 Grantmakers tend to be cautious about funding advocacy, and for good reason – yet advocacy can play a crucial role in advancing a foundation’s mission. 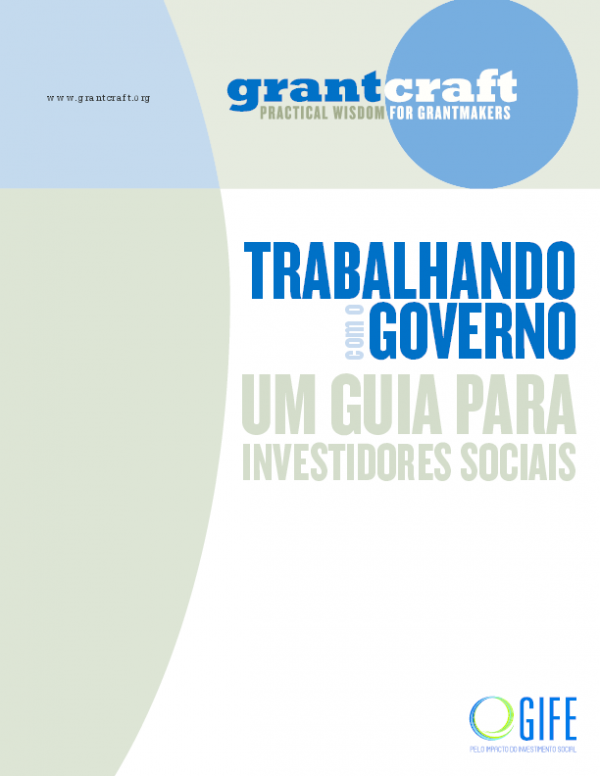 In this guide, contributors explain that advocacy includes a lot of opportunities to improve public policy through work that is well within the limits of the law. 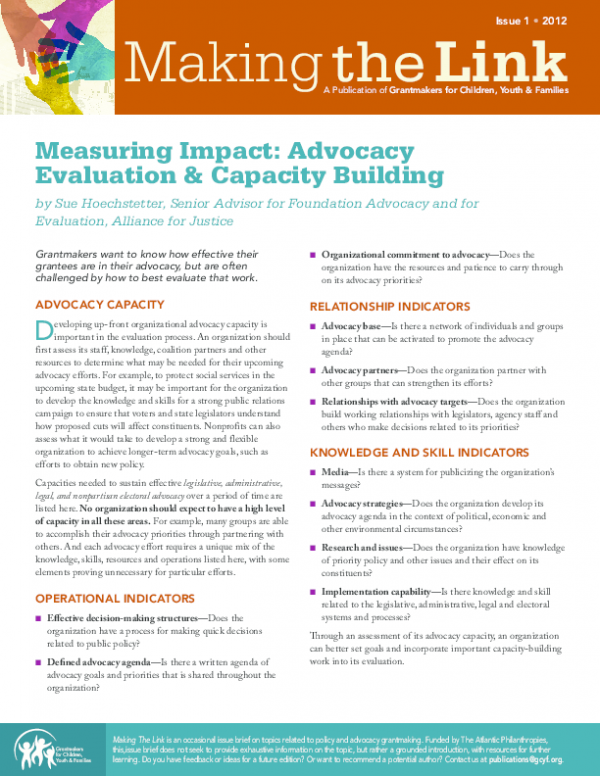 Whether your purpose is to advance an idea, argue a position, or enrich the policy debate, the guide offers resources and strategies for planning your work, reaching your audience, assessing impact, and more. Copyright 2005 by GrantCraft. All rights reserved.